This is the delicious everyday skirt you've been looking for! If you haven't experienced the heaven-on-earth fabric known in Morocco as sousde, you don't know what you're missing... I wish you could touch your screen and feel it! This full-cut A-line skirt is a simple and flattering cut that has that little swing when you walk. 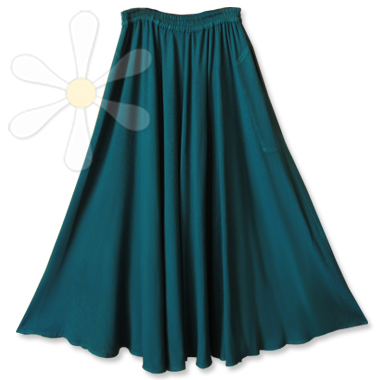 It's elegant, fun and flirty -- the classic EVERYWEAR� skirt!